In his new memoir Why Not Say What Happened (an apt line borrowed from poet Robert Lowell), the distinguished critic, professor, scholar, and book author Morris Dickstein adds a particularly telling subtitle: “A Sentimental Education.”? Even those who haven’t read Flaubert’s second most famous novel (Sentimental Education is usually alluded to after Madame Bovary) will have no trouble getting the gist of that. It’s the sort of subtitle (restrained, modest, and tasteful) that is spot-on for this type of restrained, modest, and tasteful memoir.? Most importantly of all is that in Why Not Say What Happened, a looming gap is filled.? Memoirs abound about coming of age in the 1950s and 1960s, but this one’s different: Books are in this author’s DNA, and therefore the life-transforming effects of studious reading are ultimate issues. 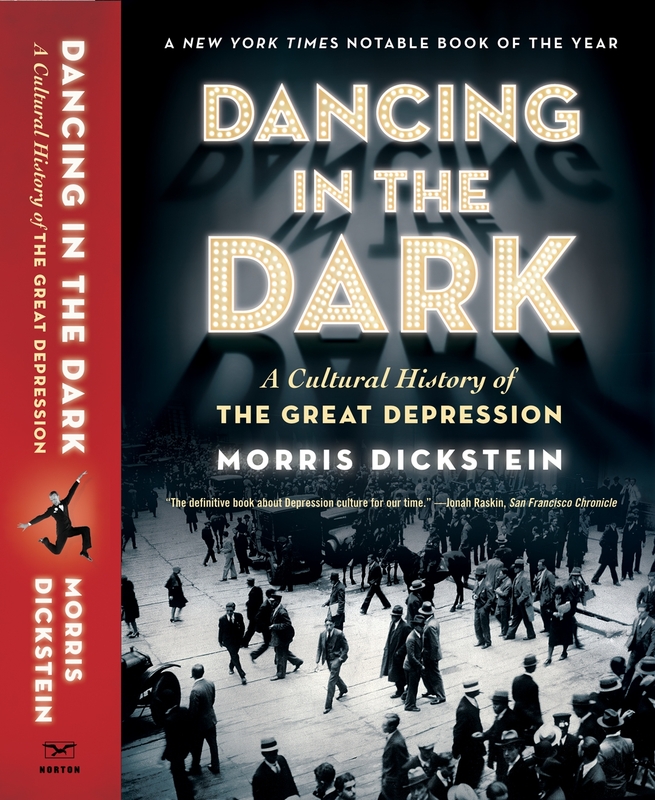 Morris Dickstein, Professor Emeritus of English and Theatre at the CUNY Gradu-ate Center, is best known for the outstand-ing Gates of Eden, a study of American culture in the 1960s, and Dancing in the Dark, a cultural history of the Great Depression. This time he turns his lens on himself, providing an account of his own intellectual development from childhood to his experience of the stu-dent uprising at Columbia University in 1968. Morris Dickstein’s new memoir,?Why Not Say What Happened: A Sentimental Education, reaches a crescendo in 1971 when the English Department at Columbia votes to deny him tenure and he takes a job at Queens College. Even for long-time academics, his narrative provides a behind-the-scenes look at the inner workings of Ivy League academia. For readers of twentieth-century Jewish fiction, Dickstein emerges as a character who might inhabit a Philip Roth novel entitled “Goodbye Columbia.” Comic and yet deadly serious, he’s a representative figure of his generation and an inveterate New Yorker who moved from the Old Testament to rock ‘n’ roll and from the synagogue to the streets of protest, all the while that he confesses his own inner demons. Yes, this is a confessional memoir of the sort that might make his button-down professors uncomfortable. Morris Dickstein’s father was shy and modest, his mother a chronic worrier, and they rarely ventured beyond work, home, relatives, and going to synagogue. They moved from the Lower East Side to anonymous Long Island and that was enough, as the world outside was an unnerving place. Don’t take chances! Obviously, Dickstein, a distinguished film and literary critic and a renowned university professor and author, went far beyond his timid parents, starting with the moment he dared move to Morningside Heights to attend Columbia University. But what’s telling in Dickstein’s personable, intellectually engaging memoir,?Why Not Say What Happened: A Sentimental Education, is that the path he’s chosen is hardly a wild, chaotic break from his parents’ attitudes. Or his righteous Orthodox religious education. At Columbia University in New York, rioting students took over the administration building, paralyzing the campus. Certain professors claimed this was a trauma from which Columbia never recovered but it was a proud moment for 1960s rebels. […] Morris Dickstein, a much-published social critic and a 75-year-old? professor emeritus of the CUNY Graduate Center, doesn’t hesitate to acknowledge how seriously he took those heady years. “The scent of emancipation was in the air and I wanted like hell to be part of it,” he remembers. He marched against the Vietnam War and grew a bushy beard. He embraced the Beatles, Bob Dylan and the Rolling Stones. He resonated to the newish beat of Allen Ginsberg and the other Beats. For nearly five decades, -Morris Dickstein has been a recognized figure in the New York intellectual scene and the academic humanities. This well-known cultural historian and critic has now written a memoir of his life leading up to that -professional maturation, covering his childhood and early adulthood in the middle decades of the twentieth -century. […] His grandparents and parents are colorful working-class figures whose homes have outhouses but whose prosperity is rising. Their son’s entry into the Ivy League and the New York Times exemplifies the surge of young Jews into mainstream professions and WASP enclaves, as well as their loss of religious observance. He mingles with the New York Intellectuals, publishing in Partisan Review, the New Republic, and Commentary just as that golden age of ideas and ideologies is waning, and he welcomes the Beats and rock and roll just as they begin their conquest of mass culture.